*It should probably be noted here that while most of my patterns are modeled on real people, this one is staged on a standard sized jewelry bust that you find at craft stores, which is only about 10" wide at the shoulders. Keep this in mind when you decide whether or not to adjust the pattern, because if you want it to look as full on you as it does in the photo, you'll want to increase your starting chain (just keep it an odd number). The good news is, if you use the recommended yarn, you'll have plenty of yarn in your skeins to do it. Gauge: A row of 18SC = about 4" in length. Helpful tip: The SCs in Rows 22 & 23 help us to create a nice straight line where color blocks come together. If we didn't add it, the color changes would have a more jagged edge. Funny I looove purple…I’d even have a purple car from bk in the day if I could’ve found it w all the options I wanted…but is also love charcoal and having it paired with purple or pink….u could do boot cuffs in charcoal and it would match….perfect maybe w a small border or bobbles popcorn stitches or smthg small infused in it…crochet and crafts has a pattern I’m thinking abt….but it’s a 4 wt yarn and a different stitch… ant wait to make it..I have to see what I have in my stash…I actually have some 3wt sparkly stuff I recently purchased in of mouse purple…have to see if there is enuf…and. sure I don’t have charcoal in the same brand …will have ro see how the pair up…. Do you have additional views? I checked Revelry and couldn’t find any. I love this but am both a small person who can’t wear something overwhelming and also looking for something I can pull over my arms to keep them warm. I can’t tell if this would satisfy either or both of these needs. I do love, love, love the look tho’. Thank you for all your lovely patterns I do enjoy making them. I have made some for gifts. I appreciate you sharing your patterns. Gorgeous! I also wear a lot of grey and black. It’s easy to mix and match items from my closet. To keep things interesting, I mix in accessories, like scarves, in bold colors. This scarf will be a perfect addition! I love this pattern.. I also love purple & do often wear purple & gray together! I actually color-blocked the other cowl you made with this stitch! I used Caron Simply Soft in Bone for half, and the same yarn in black for the other half. It has a lovely sheen and drapes beautifully. I wish I had a picture but I gave it away as a Christmas gift. I look forward to all of your pattern releases. I’ll be sure to take a picture when I make this one! Thank you! Just a thought, I know I can make it wider, but 28″ is not wide enough for me. That would be equivalent to wearing a 14 chain (altho. I know the cowl has some stretch). Also I would probably make it a little less in length. I am a short person and some of these cowls overwhelm me. But, you know, every pattern you put out I like. You are one of my favorite designers. Keep on keeping on. Gorgeous! I love all the color combinations as well! OMG!!!! This is so beautiful! I’m going to be using the mahogany, persimmon and cayenne colors for mine! They’re brown and red-oranges. My question is, do we only need one skein of each? 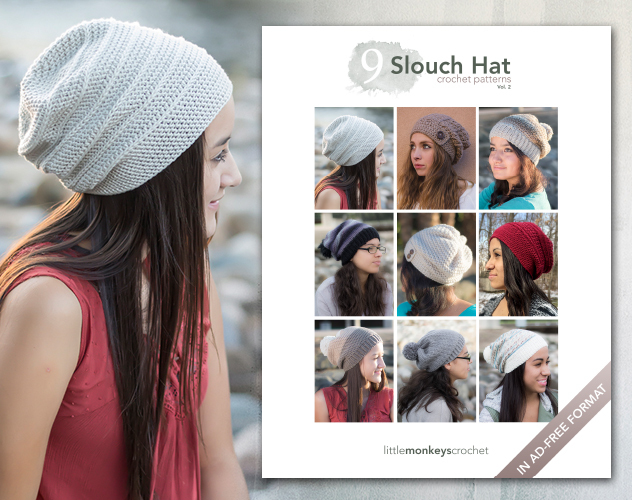 I was looking on the site and it says each skein is 306 yds but I wanted to be sure and check with you first! thanks so much for an awesome pattern once again and I cant wait to make it! Hi – could this be crochet in a circle so there’s no joining seam? Thanks for this cowl pattern. I especially like the discussion of color ways for the color blocking. I am one of those who feels like a dunce when it comes to putting different colors together. I also like the pattern in this. Although I live in not-too-cool California (temperature-wise) I have family and friends who will appreciate the warmth and comfort of cowls like this. 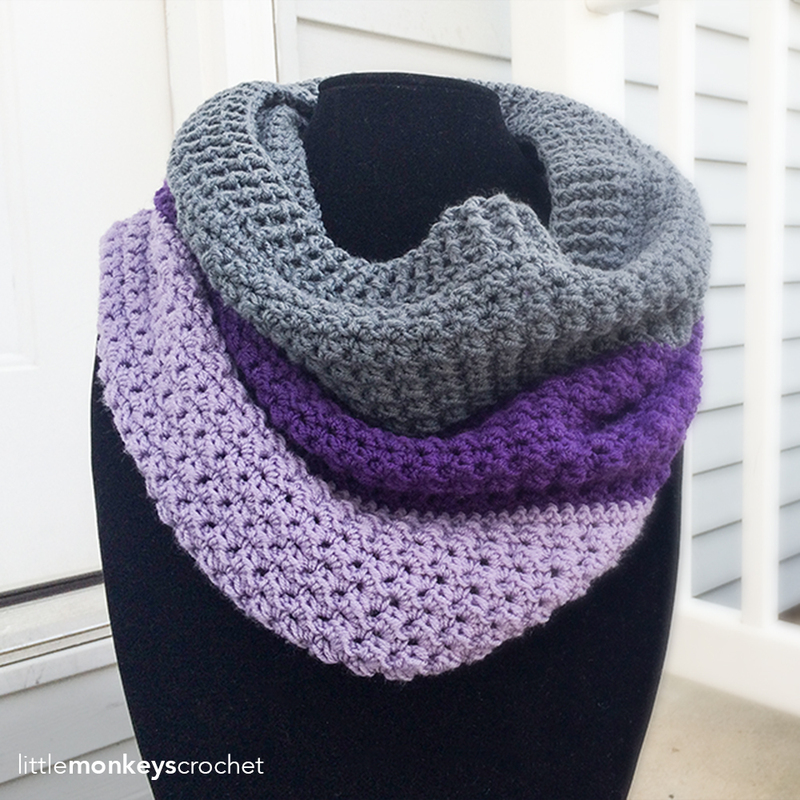 I love this cowl..it’s the first one I’ve seen that the directions are so easy to follow. I can’t wait to pick 3 colors and start working on it. I’ll share a picture as soon as I’m done. 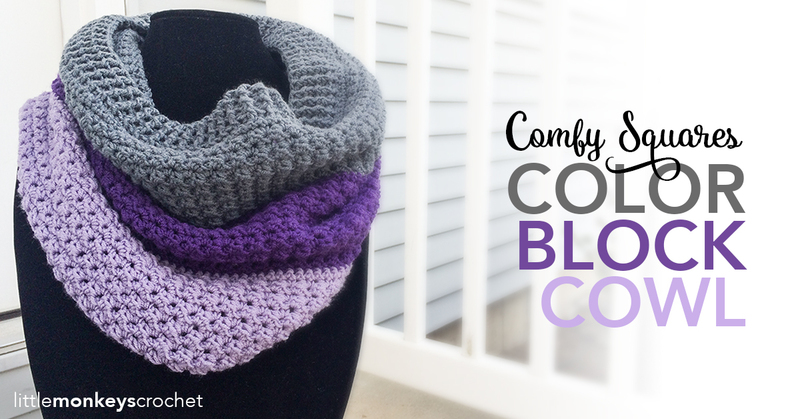 Do you have a hat pattern that matches this Colorblock cowl? Very comfy,why is not worked in one piece? It is worked in one piece, it just isn’t worked in the round so you have to seam the two ends together at the end. 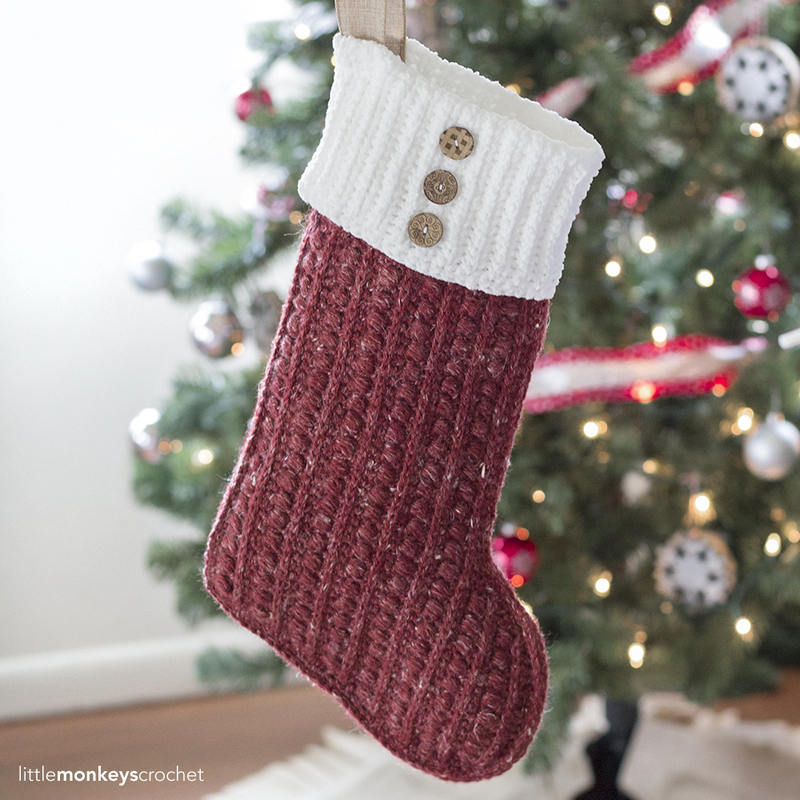 I really want to make this, but can you reccommend a good non wool compatable yarn? My husband is horribly allergic to wool and I also would still like contact with him while I am wearing it. I love the look of this cowl. When I first saw the picture I thought it was 3 individual cowls. How cool would that be to make solid cowls that were thinner and then stack 2-3 cowls together to match any outfit. This scarf is so pretty I’m going to try it with Caron soft yarn and hope it comes out so nice thank you for sharing! Do you by chance have this in a print friendly version? You can use the “print” button located just above where the pattern begins, or you can purchase an inexpensive ad-free version in my Etsy shop (link located just below the pattern title). Beautiful! I’m into crocheting cowls now and sam anxious to try this one. Thanks for the pattern! I too will be using non-wool yarn. Hi, love this cowl but I’m a beginner. Is there a video that you could post of this pattern? Please ? 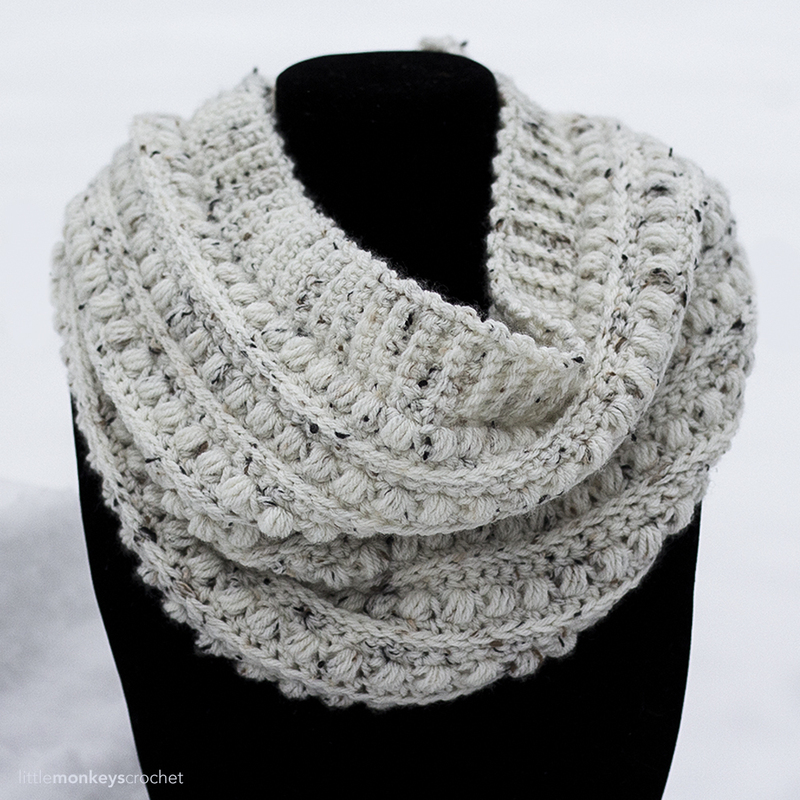 This is one of the prettiest cowls that I have even seen. I too thought, at first, it was three stacked upon each other. I then read the directions. It is genius!! I can not wear wool, but I am willing to try the Caron Simply Soft, which has a nice sheen to it. Love it. Keep doing what you are doing, you are very talented. Is there another yarn that you would suggest if the recommended yarn is not a possibility? I would like to make this cowl but am not sure what would be most comparable to the superwash merino without the price tag. I’m not sure what to recommend that would be comparable to the feel of the merino, but any #3 light yarn should work. 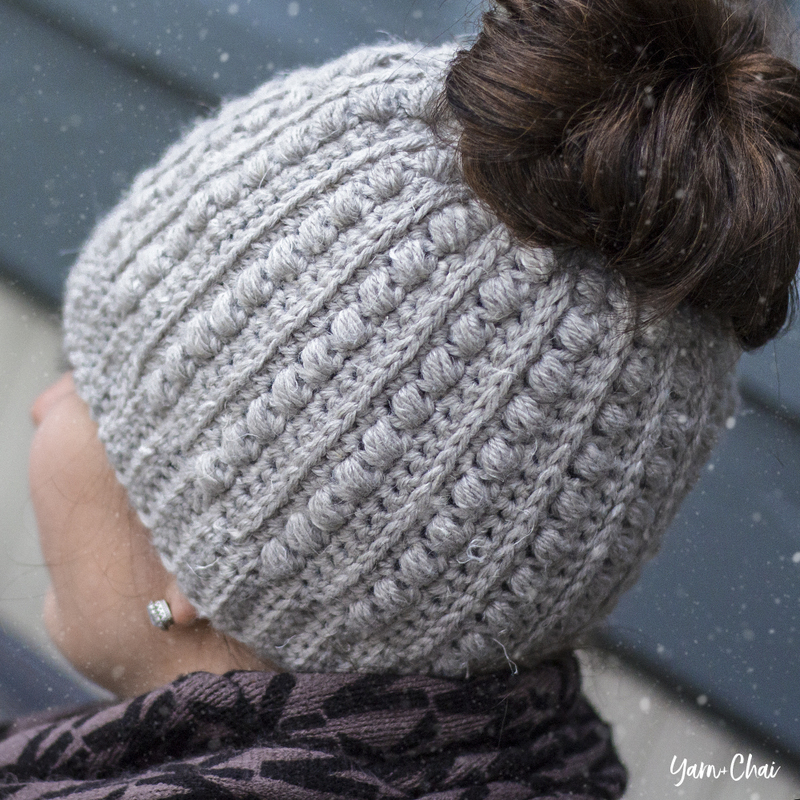 You could try I Love This Yarn Sport for a more inexpensive option. I just wanted to let you know how much I love this. It’s ridiculously soft. I’m making mine in a deep pink-pale pink-cream sort of ombre color combo, and I adore it so much. Keep being you and coming up with really cool stuff! Hello, I seem to be having a hard time figuring out this pattern. On row 2, am I supposed to go into the stitch “space” between the two sc+hdc stitches from row 1 or are the sc+hdc stitches supposed to be stacked right on top of each other? My work doesn’t seem to be shaping up like your pictures. I’m trying different yarns to see if that’s the problem, but I wanted to check with you. You want to go into the sc stitch. I always got confused on that too. So you want to do the sc+hdc in the sc stitch, then skip the hdc and do another sc+hdc into the sc. Does that make sense? I think once you start getting the hang of it, you’ll start seeing the similar pattern like in the pictures. Hey. I just want to thank you for sharing so many beautiful patterns. It’s of my absolute favourites. I am a beginner and your patterns are really easy to follow and the outcome is gorgeous. Many thanks again. Take care. Love this pattern!! Can I ask if you know the measurements of each color section? I’m using Hobby Lobby’s I Love This Yarn (#4) so I’m trying to adjust the size. I absolutely love your boot cuff pattern as well! ? Thank you so much! I just adore your patterns! I’ve made a few items from your patterns and have them for sale in my Etsy shop if you’d like to see them! Thank you so much for your kind words! I appreciate it very much ? 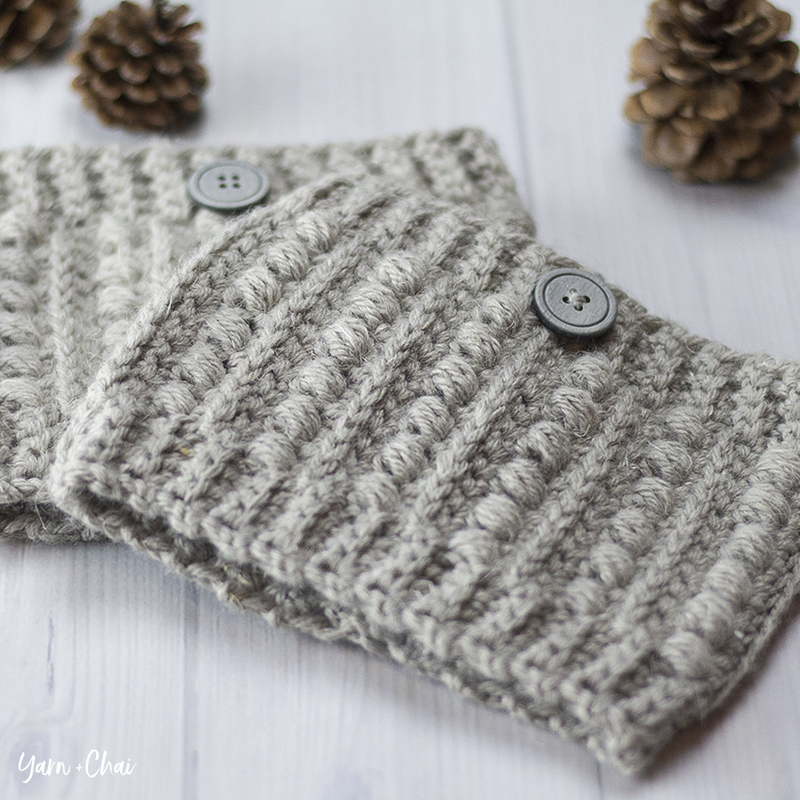 I love this cowl pattern, thank you for posting it! I made it the first time in charcoal, heather gray, and mustard. It turned out gorgeous! . I decided to try the second one in the round, and it worked beautifully. The only thing to remember when the round is joined, is to use a slip stitch, then chain one, and then reverse direction and go back the way you just came from. The half double crochet goes in the first stitch, then continue the pattern in the chain space. It works, and is a great alternative for those who prefer making their cowls continuous intstead of joining. Thank you for the beautiful pattern, I have just finished mine?! pode me explicar como fazer ponto baixo – pb – em cada ponto transversalmente? Muito grata. I’m just wondering if it’s possible to work this in a round? I’m pretty new to crochet, and don’t think I’d do a good job sewing…lol. Thank you for your pattern. I was looking for something to make as a gift for my son’s teachers. This is working up to be a great gift.